Fuel the engine that runs the Sound of the Rockies. Support our Youth in Harmony educational program, our Ready, Set, Sing! community voice lessons, and our great a cappella music and performances. We sing to lift hearts. Stay up to date with the latest news delivered right to your inbox! Your generous support helps keep our chorus strong. December 8, 2018 @ 7:30 pm : Snowbound! 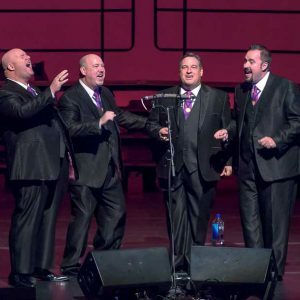 Sound of the Rockies Christmas Show – 7:30 p.m.
Sound of the Rockies is an entertaining, professional a cappella chorus and men’s barbershop quartet group. We hope your come to one of our concerts, hire us to perform at your next Colorado event, think about joining or supporting our chorus or maybe decide to take free voice lessons. Start by looking into tickets for one of our upcoming shows.